Everyone wants to share tasty food pictures from their travels. But, I have to admit, that there are some food photos that I see on Facebook, or Twitter, or even worse, on TripAdvisor, that seem to be the most unappetizing dishes out there! Bad lighting, blurry, half-eaten dishes. Now, I admit I am not a professional food photographer, but over the last 6 years, I’ve managed to improve my food photos quite a lot. And, I’ve figured out the best camera for food photography, at least for me. How Much Will a Good Food Camera Cost? So What is the Best Camera for Food Photography? Other Food Photography Accessories – What Do You Need When Traveling? But, in this buying guide, I will share what we use, as well as some other recommendations for food cameras for travel. Most importantly, I will hopefully answer a lot of questions that people have about which camera will help you take better foodie images. And I want to provide options and recommendations for the best food camera for travel. If you have specific questions you need to be answered, use the table of contents above to jump right to the part of the post that will answer your questions. Below we cover in more detail the different food camera options we recommend, but if you are looking for some quick recommendations, here are our top recommendations. We recommend using Amazon for purchases like this. First off, they deliver around the world. Second, if you have Amazon Prime many of these products ship for free. I am not a photography expert. Far from it. I’m a trained tax attorney. But, I’ve spent the last 6 years learning and practicing and following some of the best food photographers. And, when I look back at my food photos from 5 years ago, I cringe! Part of the improvement is due to improvements in technology, and part of it is practice. When it comes to how to take better food photos when traveling, both are important. But what is truly important is to recognize that the best camera for photography, in general, might not be the best camera for food photography. When it comes to the fancy specs about cameras, again, I am not an expert. But, I’ve done enough research when purchasing our last few cameras to understand the most important aspects, particularly with respect to the best food photography camera. I’ve also researched this a lot when training our hotel social media clients on how to improve their food photos. My goal here is not to offer advice on how to become a professional food photographer, or how to start a new business. Instead, my goal is to provide sufficient advice, on what food camera to use, and how to use it, to capture tasty food images when traveling. We also focus entirely on food travel photography, and not some of the fancy techniques to take great travel photos, like how to choose a drone for travel. The truth is that, particularly with increases in today’s technology, you don’t need super expensive camera gear to take good food pictures. We certainly don’t have the most expensive camera on the market. The goal is not necessarily to buy one of the best cameras for photography in general. Sure, you can do with some investment, but it’s not necessary to invest thousands of dollars unless you see yourself getting more into professional food photography. But, remember, it’s always possible to sell used camera equipment. We’ve done it before. It’s a profession, or a hobby, that is easy to grow into. What are your goals? Is your goal to take better Instagram food photos? Or, are you looking to take the first steps to a professional food photography blog career, where it will be necessary to buy food photography props and set up an in-home studio. What is your budget? This is a big one, because generally when purchasing a camera, it’s also necessary to purchase a lens that will specifically work for food photography. Both must be taken into account. Do you already know how to photograph food? If you’re a pretty good food shot already, you might know exactly what kind of food camera, or food photography lens you need. In that case, this guide will review some of the best products on the market for your needs. Looking to take great food photos when traveling? Check out our guide on How to Take Food Travel Photos to learn our food photography tricks. There are four main types of “food cameras,” ones that people will purchase in order to take food photos: 1) point and shoot cameras; 2) DSLR cameras; 3) Mirrorless cameras, and 4) smartphones. Let’s talk about a point and shoot camera for food photography first. Point and shoot cameras are smaller cameras that, for the most part, only include automatic settings. All that is needed is to turn the camera on, point the camera in the direction needed, let the camera autofocus, and press the button. We haven’t traveled with one of these cameras in a very long time. Mostly because today’s smartphones often take photos of similar quality, and sometimes even better. When it comes to taking photos of food, a good smartphone is a better investment than a point and shoot camera. Learn Food Photography Techniques from a professional food photographer at Creative Live. This is not an in-depth review of DSLR versus mirrorless for travel photography, or an in-depth analysis of what all the fancy photography terms are. Instead, it focuses on the features of the two main types of digital cameras that are most relevant to taking photos of food when traveling. Here’s the tech stuff: A DSLR (or Digital Single-Lens Reflex) uses a mirror and a prism to direct light within the camera. A mirrorless camera does not. For beginner food photographers, the science behind this is not all that important of a difference. For food travel photographers there is a big difference between the two: mirrorless cameras are generally smaller and lighter. That means they are much easier to travel with. A mirrorless camera for food photography when traveling means it’s easier to take food shots without carrying a ton of gear. Another big difference is that DSLR cameras come in both full-frame sensor and cropped sensor models, whereas mirrorless cameras generally only have a cropped sensor (generally, but not always). But, what does this mean for the typical food photographer? A full frame DSLR often produces a clearer image, but for the food traveler, looking to share images on a blog or on Instagram, this difference might be negligible. Full frame cameras can shoot better in a darker environment, which can help when taking food photos in a restaurant. Having a great camera for food photos can take care of food photography lighting concerns when traveling. The wider frame on a full frame camera is useful when shooting in small spaces, which, again, can help when taking food photos in a restaurant. Now, the best camera for food blogging might be different than choosing the best camera for travel. The best camera for food blogging, for someone who rarely takes their camera on the road, and someone who wants to learn how to take food photos professionally would be a DSLR full frame camera. It’s the most professional option. These can be beneficial for food photographers, but it all comes at a cost. Cropped sensor cameras tend to cost less. Full frame cameras generally cost a lot more. It’s smaller and easier to carry around. I can throw it in my handbag easily. It’s also less conspicuous when eating at a restaurant. I am always conscious of how intrusive my food photography is to other guests. A mirrorless just takes up less space and makes you seem less like a professional food photographer. We use the Sony a6300 4K Mirrorless Camera paired with the Sony – E 50mm F1.8 Lens. Check the current best prices here. For ease, here, I will refer to DSLR cameras and mirrorless cameras collectively as “digital cameras.” The main difference between using a digital food camera and a smartphone for food photos is that the digital camera has more manual functions. For newer food photographers, the auto function on a digital camera might be sufficient. I use almost all auto settings except for a few manual adjustments. For some people, iPhone food photography is enough. And, the quality of the images that an iPhone will capture has improved over the last few years. But, for us, when it comes to taking good travel photos, and for taking pictures of food when traveling, Samsung wins hands down. It’s the best camera phone for food photography. Even better, the newest Samsung on the market has a lot more manual functions than in the past. This makes it a lot more competitive with a mirrorless camera. In particular, when it comes to dark food photography, food images are better with Samsung. I currently have the Samsung S9, which truly is amazing! There is a food setting, similar to the Samsung S7, but there is also selective focus, which is similar but allows more editing functions after the fact. And, there is a “pro” function, which allows a lot more control over how to take food photos. Settings allow food travelers to adjust the white balance, and to increase and decrease the depth of field, just like a “real” camera. The Samsung S9 could be the best digital camera for food photography, particularly for travelers. This is a great option for food travelers because there is no need to carry around extra equipment. It’s also an option for someone with a smaller budget because you have a smartphone that takes photos, rather than having a phone, plus a camera, plus a lens for food pictures. 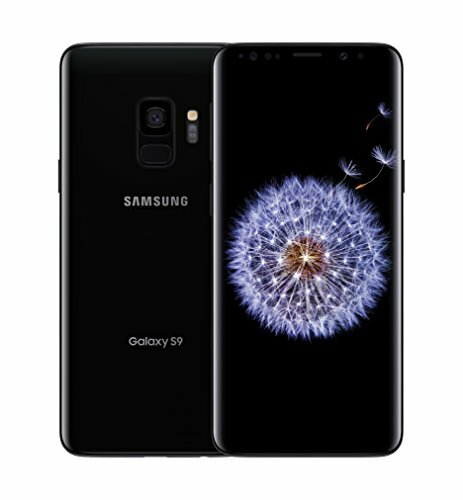 Purchase Samsung Galaxy S9 Direct & Take Better Food Photos Today! Obviously, the cost is a big concern for anyone looking to buy a great camera for food photography. If you are looking to build a food photography business, then you might want to invest more. But, if you are looking to improve your food photos for a hobby, or to think about taking your hobby into a business, a less expensive starter camera might be a good option. It’s pretty easy to sell used cameras to recap some of your investment, to take your skills to the next level when it’s time. Remember, just because a camera is more expensive, that doesn’t mean it’s a better camera for you. Many of the more expensive cameras, with more advanced features, are also features that are not needed for great food photos. Both DSLR and mirrorless cameras can be expensive. Just because it’s mirrorless and potentially smaller, doesn’t necessarily mean cheaper. And, the cost goes up when you start adding on lenses. The good news is that for most food photography, you can get away with one specialty lens. What are some of the features to consider when buying a food photography camera? Touch screen view: Most cameras have a touch screen viewer in the back allowing you to take images, view images, and adjust the settings. Viewfinder: Some cameras no longer offer a viewfinder and just offer a touch screen view. My last camera didn’t have a viewfinder and I found sometimes it was hard to see what I was taking a photo of, particularly when it was bright outside. When purchasing my current camera, I specifically wanted a viewfinder to avoid this issue. Some cameras that don’t have a viewfinder can add one on, so it is not the end of the world. Video function: Not all cameras include a video function, although at this point, most do. If you might consider taking videos of food, now or in the future, this is a great option. WiFi: When starting out, WiFi might not seem like a necessity. It’s not all that difficult to transfer images to a laptop for editing and sharing. But, when looking at how to take food pictures when traveling, WiFi can be helpful. While enjoying an after-dinner drink, you can transfer the images from dinner to your phone, edit, and share it to Instagram immediately. Ability to Tether: If you are looking to do food product photography, or to set up your own food photography studio (so, do more than take food travel photos), being able to tether is important. Tethering allows you to take images and see them directly on the computer screen immediately, so you can tell what is working, and what needs to be fixed. Tethering works best with the Lightroom software, which helps to organize and edit food images. I use Lightroom myself, although I don’t tether because I take almost all my food photos on the go. RAW shooting: If the ultimate goal in purchasing a food camera is to take good food pics when traveling to share on Instagram, then the ability to shoot in RAW is probably less important. But, if the goal is to sell food images or enlarge your best food images to hang on a wall, then shooting in RAW offers more flexibility. But shooting in RAW takes up a lot of storage space, both on the camera and on the computer. When we started traveling in 2012, we traveled with a Nikon DSLR. But, we found that traveling with a large DSLR camera, with a telephoto lens, particularly when we don’t really take landscape or action photos, seemed a bit much. I wanted something that took great photos, but one that was also compact. I didn’t want a large camera bag or camera backpack. And, I wanted something I could throw in my purse for an evening out. As a result, about five years ago, we switched to a Mirrorless camera. We started with the Sony NEX-F3 Mirrorless Digital Camera. And, I loved it. It was lightweight and easy to travel with. 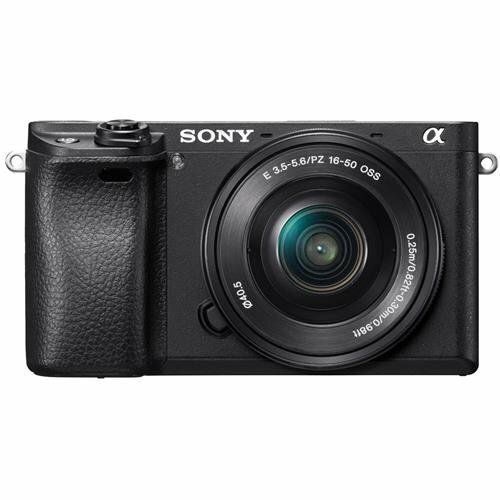 Currently, we have a Sony Alpha a6300 Mirrorless Camera. It’s slightly larger than our first Sony, but also has a lot of great features. It has WiFi, is much faster, and shoots 4K video. It’s a great all around travel camera. When it comes down to it, though, the most important thing is choosing a great food photography lens. We have the Sony 50mm f/1.8 lens, which I think the best lens for food photography. Using a fixed 50mm lens allows the most control over the depth of field in order to capture the tastiest food pics. 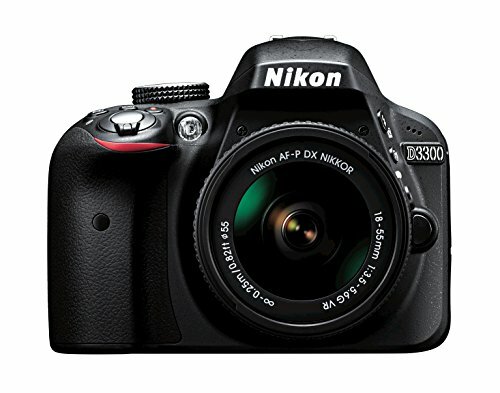 The Nikon D3300 is a good starter DSLR camera and can be considered the best Nikon camera for food photography. It offers great features and is less than $400 for just the body, or the body and the kit lens that comes with it. This is a small, easy-to-use camera, weighing in at less than a pound, which means it is easy to travel with. It shoots 1080p HD video. There is only an auto-focus setting, which makes it easy to use for beginners. It can be paired with a Nikon 50mm Lens to put together your own starter food photography kit at about $600. Another of the best DSLR camera for food photography is the Canon EOS Rebel T5 Digital SLR Camera, which starts around $500. This camera can be paired with the Canon 50mm Lens for great foodie photos. This camera is a little heavier than the Nikon, but has manual focus, wifi, and video function. For Canon camera lovers, the Canon EOS 6D Mark II is a full-frame model, with an optical viewfinder, and wifi. It also weighs a little less than the Nikon610. This camera can also be paired with the Canon 50mm Lens. One of the most important parts of learning how to take good food pictures is choosing the best lens for food photography. Having the right lens is almost more important than which camera you choose. The lens will control your ability to create good food images, particularly ones with a blurry background. Having “blurry” food photography backgrounds is key to adding drama to food photos, and keeps the focus where it should be – on the food. If your food camera budget is limited, it is our recommendation that you shift budget from the camera body to invest in a good food lens. One way to do this is to choose a cropped sensor camera, which is usually less expensive than a full frame camera, and then purchase a good lens. If there is only budget for one food photography lens, go for the 50mm “Nifty-Fifty.” This is a fixed length, 50mm lens that is generally lightweight and inexpensive. And, it offers a great ratio of price to quality. And, it not only works for taking some of the best food photos but also works well for portraits too. One thing to note, when taking pictures at a table, sometimes you might feel too close to the food for this lens. In this case, I will push the plate more to the center of the table to ensure the dish is in focus. We use Sony 50mm f/1.8 Lens for Sony E Mount Cameras. I keep a lot of the automatic settings in place, but I shoot with what is called Aperture Priority, this helps me to control and adjust the depth of field with the fixed lens. 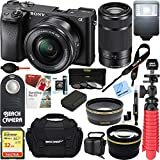 I think this is the best Sony lens for food photography. 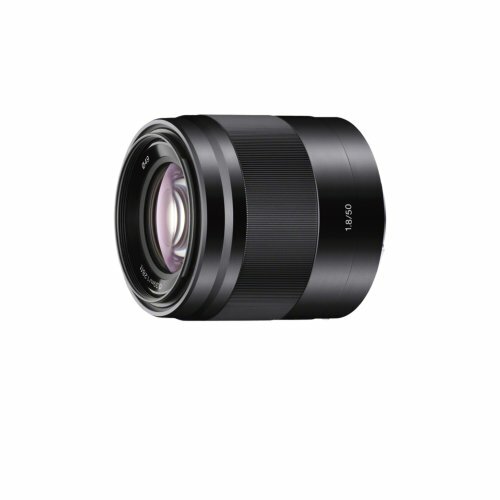 If looking for a Nikon or Canon food lens, there are great 50mm options as well. There are other great options for food photography lenses, but the 50mm is the perfect option for food travelers because it works for all sorts of food-related experiences, and is easy to travel with. Often times food travel photos are not necessarily the best food photography. There are a lot of challenges that arise. Because that really is the biggest challenge, you don’t have much control over the food photography setup. You take the street food or fresh food market as it comes just like you take the restaurant lighting and plating as they come. You need to do with it what you can, but you can’t expect the same results as a professional food photographer who sets up a studio in their own dining room or kitchen with a full-on food photography kit. It can be tempting then to load up on food photography equipment to take back some of this control. But, setting up a food shoot, on the road, is a challenge. It’s not possible to set everything up in the middle of a dining room, without angering all of the other guests. So, what can you do? If you want to use a tripod for food photography, it’s best to use a table top one. We’ve never really traveled with a tripod for food photos. We do sometimes use a small one to take video, but, remember, can you set up a tripod at a nice restaurant to capture your meal? Probably not. That said, a table top tripod that can be used for a camera as well as a mobile phone is probably best. This is similar to the tripod we use and is probably the best tripod for food photography on the road. The most important food photography accessories for travel, though, is an extra memory card, or an external hard drive to store your images. The last thing you want to do is have to delete images from your camera because you’ve run out of space during a trip. We always travel with a WD External Hard Drive, with at least 2TB. But, this is a good tip for any photographer – always keep an extra copy (or 2) of your most important food and travel photos on an external hard drive in case your computer fails. And, we always have multiple SD memory cards in our camera bag to swap out if needed. We use Scandisk Memory Cards. Some cameras use full size memory cards and some use micro memory cards, so be sure the memory card is compatible with the camera. The memory cards range in size from 32GB to 256GB now! We generally travel with 64GB, which has always been sufficient memory for us. Invest in a good photo editor. The editor doesn’t need to be one that is specifically a food camera app, but using a tool like Lightroom can make a world of difference. If looking to share food photos to Instagram, particularly photos taken from the phone, then one of the best apps for food photography is Snapseed. And, it’s free! No filters. People often ask us about the best filters for food photography, and I say #NoFilter. Most filters don’t result in good food photos. They make the food look unappetizing. Instead, spend time learning food photography editing skills to fine tune the images. The best camera app for food photography is one that allows manual edits, not nasty filters! Use natural light. The best lighting for food photography is natural light. When traveling, it’s hard to control the light in a restaurant dining room. If possible, try eating lunch instead of dinner to capture natural light, and ask to sit near a window. Use Aperture Priority. One of the best food photography tips for beginners, particularly people who are not used to using a DSLR or Mirrorless camera is to use Aperture Priority. This is one of the most important food photography camera settings, allowing you to control the aperture, and adjust the depth of field, without having to control all of the manual settings – that could be intimidating. Or, check out this great Food Photography Tutorial from Creative Live.